Your fence is your garden’s frame. A stunning fence will give your garden a polished appearance whereas a broken or wonky fence will make your garden look messy no matter how much work you put into the rest of it. Leaning fencing, broken railings and rot on the base of your fence posts are the three most common problems the effect fences. If you spot any of these problems, the good news is that they can all be easily fixed if you act quickly enough. Don’t put it off for “another day”, if you spot any of these common problems just follow one of our simple DIY guides. Need to Straighten-Up a Leaning Fence Post? Remove the soil around the leaning fence post and pile it onto a tarp so you can easily refill the hole once you’ve straightened your post. If your post is set in concreate, don your safety glasses and use a sledgehammer to break up the old post setting. Adjust the post so it’s standing straight and add a supporting planks of wood at either side of the post to make wooden braces that ensure the post stays straight and, prevents the rest of your fence from collapsing. Use a level to make sure your fence is straight before you secure the support braces in place by nailing them to wooden stakes in the ground. Mix fresh cement and use it to fix your new post in place. Once it’s dry, hide the repair job by packing the top soil you removed earlier around the post. Remove the braces once you’re sure the cement has set and your readjusted fence post is secure. Use an electric screwdriver to unscrew the fence boards from the damaged rail or if you’ve used nails, pry them out. When you’re doing this be careful not to damage the boards as you’ll need these later. Unscrew or pry the nails out of any supports you’ve set up for the fence rail you’re replacing. Cut the new rail to size or if you’re really organised, you’ll have already ordered your replacement rail pre-cut to size from eDecks. Nail or screw the new rail in place and reinstall any fence boards you removed earlier. Dig around the base until you reach the end of the post or the concreate setting. If you’ve used a concrete base, use a sledgehammer to break up the concreate so it can be removed easily. Screw 2 x 4 timber supports to your fence to make a secure brace. Use a level to make sure that the fence is even then nail the wooden braces into wooden stakes in the ground to hold them in place. Pull the old post out from its foundation and cut just above the damaged section. 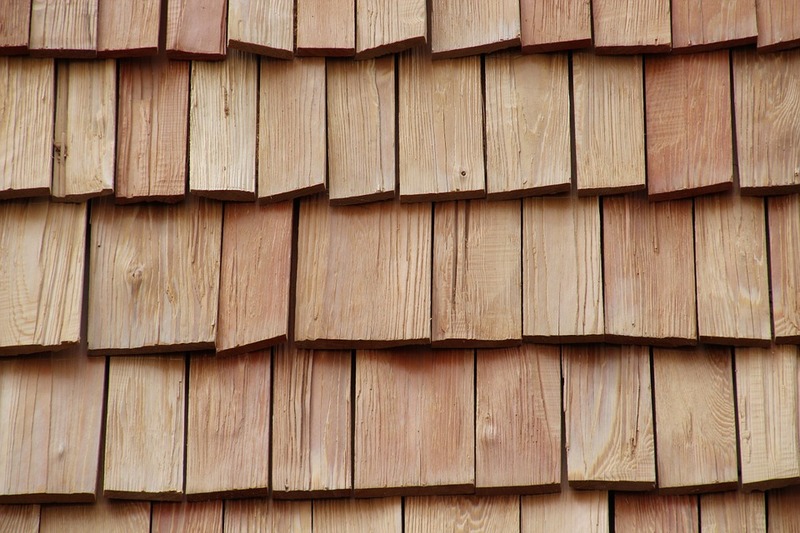 Make sure you cut away all of the rot to prevent it spreading to the rest of your timber. Cut a new section of timber that’s at least a foot longer that the rotted section you’ve just removed. Place the new section of timber in the base hole and fix it securely to the existing post using clamps. Use a drill to bore a hole through both the old and new timber and secure the two posts together using carriage bolts. Make sure both sections are fasted together tightly by adding nuts and washers to either end of the bolts. If you’re replacing a concrete base, mix your concrete and pour it into the posthole. Once your concrete has set you can go ahead and remove the braces and supports. Find all the cheap fence supplies you need to build or repair a fence at eDecks. Shop the range online today. This entry was posted in Garden DIY on October 26, 2015 by peach. Have you been wishing that there was a way to extend the lifespan of your late blooming plants? You’re in luck! 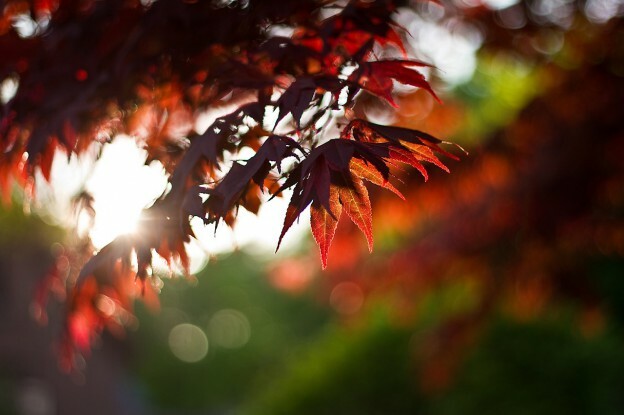 If you don’t want to leave the last of your summer blooms to the mercy of the elements, there’s a few simple tricks you can do to protect your plants from the harsh autumn climate. If you can, move your potted plants inside and re-pot any remaining plants from your hanging baskets so you can bring them in from the cold. The golden rule when you’re rehoming your plants inside is to place them in a room with windows so they can still get lots of sunlight and, don’t place them too close to any heaters! Too much heat is just as bad as not enough as central heating can quickly dry out your poor plants if you’re not careful. Most greenhouse gardeners will call it a day once the days get colder and the nights get longer however, some dedicated gardeners refuse to let the seasons dictate when they can use their greenhouses. What’s their secret? They invested in a greenhouse heater. Add one to your greenhouse to turn it into a tropical paradise for the last of your summer flowers. As an added bonus, with a greenhouse heater you’ll be able to grow your own vegetables for Christmas dinner. Protect your plants from the frosty autumn nights by using a light covering to keep them warm when the temperatures plummet. If you’re worried about damaging the delicate leaves or petals, use bamboo canes to construct a frame to drape the covering over. Most garden centres stock covers but if you have a spare sheet or a fleece lined blanket lying around the house, you can save some money by using that instead. When the winter sets in and it becomes difficult for wild rabbits to find food, the soft bark on your recently planted saplings will begin to look pretty tasty to passing wildlife. Prevent your young trees becoming the dish of the day by constructing a protective guard made from galvanised chicken wire around the base of your saplings. Make sure you install it as close to the young tree as possible and set it deep enough into the ground so it can’t be knocked over by gusts of wind. If you’ve been growing vegetables that can’t be moved but still aren’t quite past their best, why not build a protective cold box to keep them warm on frosty days? Cold boxes are available in most garden centres but if you’re a dab hand at DIY, it should be no problem to construct your own. 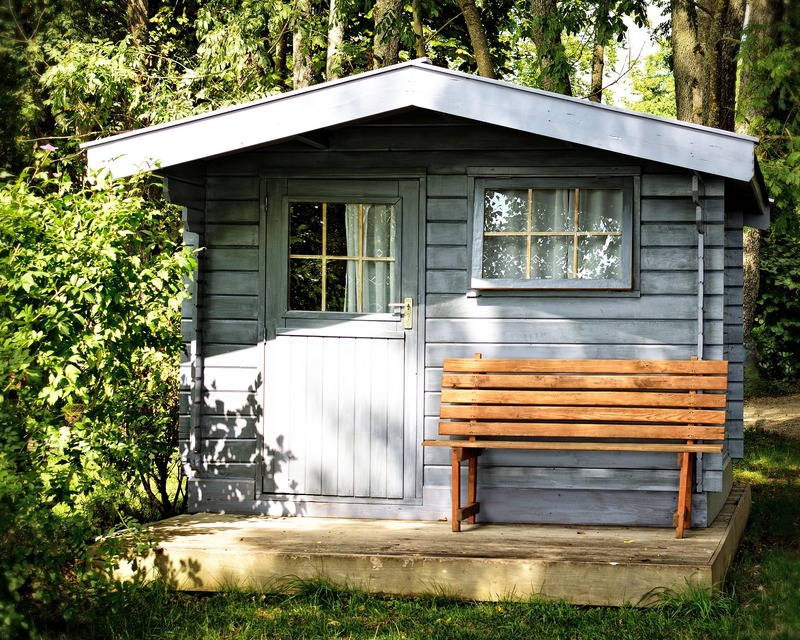 Just use planed timber and galvanised nails to construct a box frame and top it off with a lid made from a pane of glass or a sheet of hard plastic. Extend the lifespan of your late blooming plants with eDecks. Browse our range of premium garden supplies at discount prices online today. This entry was posted in Gardening Advice on October 19, 2015 by peach. Scare the neighbours and spook your friends by turning your deck into a creepy Halloween grotto! With our grizzly guide you can throw a party your family and friends will never forget. If you’ve got young kids, get them involved in the fun! They’ll love transforming their home into a ghoulish grotto and it’s a great way to keep them entertained during the October break. No Halloween party would be complete without a pumpkin lantern! To make yours, use a large felt-tip pen to mark the outline of your design (the creepier the better), cut off the top of your pumpkin using a large sharp knife, scoop out the inside (this can be used to make pumpkin pie later) and very carefully, use a smaller sharp knife to cut out the design. Then hang or place the lanterns in prime position around your deck. We recommend using fake LED candles but if you want to use real ones, be careful to place the lanterns where they won’t be knocked over! Ok, so they aren’t exactly flying or real bats but, hanging fake bats from the roof of your deck or along your hand railings will help to create a creepy atmosphere. You can pick up toy bats from most toy shops or if you’re feeling wickedly crafty, round-up the kids and have a go at making your own. All you need to pick up is black card from an art supplies shop and a bat shaped stencil for the kids to draw around, you can even make the stencil yourself with thicker card. Once you’ve cut out your bats feel free to leave them dark and mysterious or, let the kids decorate them with paint, glitter and anything else that takes their fancy. Think orange paper lanterns and dimmed lamps to set an eerie atmosphere. You want it to be bright enough so that you can tell one witch from another but dim enough to create a spooky setting. This year we’re planning on hanging orange, green and black lanterns along the roof of our deck. Fake cobwebs? Check! Sinister toy skeletons on the garden furniture? Check! Dry smoke? The possibilities are endless! Dangling toy spiders from the roof is guaranteed to give the neighbours a fright. Welcome guests onto raised decking with tombstones guarding the foot of the steps or drape chiffon across a garden mirror for a shadowy effect. You’ve got the tricks covered, now it’s time for the treats! Halloween themed goodies are a fun way to top off the night. You can either stock up on Halloween themed food at the supermarket or have a go at making your own. For the children, how about creepy cupcakes? Just add a little bit of green food dye into the icing and add chocolate bats or sugar fangs. Keep the grown-ups happy with a blood-red or ghastly green cocktails. 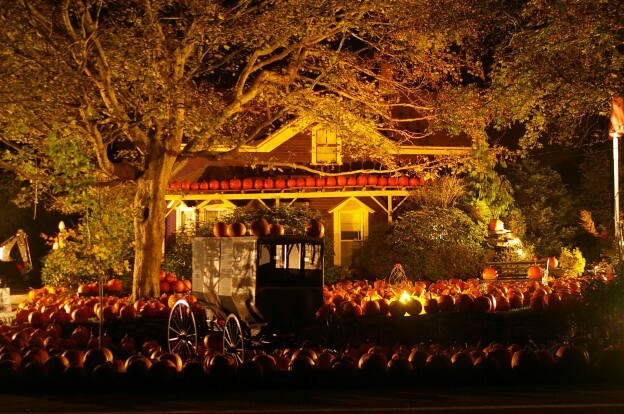 How are you planning to dress-up your deck for Halloween? Share your pictures on our Facebook page today. If you want to treat your wallet, shop at eDecks for the best discounts on premium gardening supplies. We promise it isn’t a trick, we just stock high quality products at wallet friendly prices. 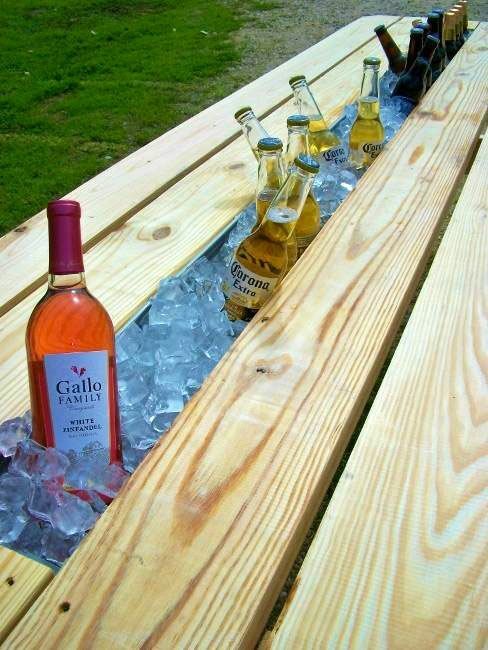 This entry was posted in Decking Accessories, Garden Design Ideas on October 12, 2015 by peach. We might be deep into autumn now but gardeners in the know are still busy outside preparing their garden for the upcoming winter months. We’ve put together our list of what to do in the garden this autumn to make sure your garden stays in tip-top shape this winter. It’s time to bring vulnerable flowers in from the cold. Move your potted plants into your home or greenhouse if you’re planning on using a greenhouse heater, to protect them from the oncoming frost. If you have delicate plants that can’t be moved, use a light covering like a sheet to protect them at night when temperatures drop. Spring next year might be the last thing you’d expect on your autumn gardening to-do list but believe it or not, now is the perfect time to plant daffodils and tulip bulbs if you want stunning blooms in the spring. Just make sure they’re buried deep enough in the soil to survive the winter top frost. When they start to decay, leaves from your rose plants can harbour nasty bacteria and pathogens which can quickly spread and attack your autumn plants. Strike first by sweeping up any fallen leaves before bacteria gets the chance to spread. Remember not to add these to your much plie to prevent infection spreading. Are overgrown plants and bushes making your garden look wild and messy? Before the harsh winter weather sets, take some time to trim back overgrown evergreen hedges and unruly shrubs. Not only is it cold and unpleasant to tidy-up overhanging plants during the winter, but the frosty ground could make it hazardous. Don’t let the name fool you, a cold box will keep your plants cosy when temperatures plummet. 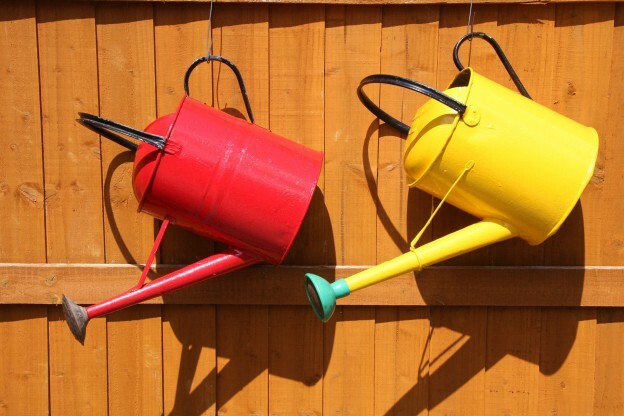 You can pick one up from a garden centre but it isn’t too difficult to make your own if you have some DIY knowhow. 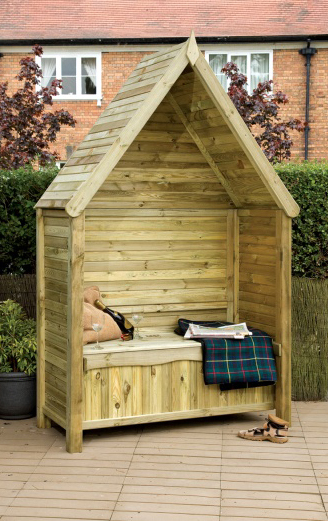 Use durable treated timber to construct a box frame and top it off with a lid made from a sheet of glass or plastic. The harsh winter months can strip the nutrients from the soil and leave it void of all the goodness your plants need to thrive in spring. Don’t leave your soil to the mercy of the elements, show it some TLC by adding a layer of mulch. You can buy bags of mulch at garden centres or have a go at making your own by creating a pile of autumn foliage and grass clippings. Birds are your best ally in the fight against garden pests. Keep them around by adding a bird feeder in your garden and provide them with some much needed nuts and seeds when the ground is too hard for them to dig for worms. It’s your last chance to give your fence, decking or wooden shed a much needed coating of wood preserver. Don’t wait until the wet winter causes rot and mould to appear, add a timber preserver now to save yourself from having to carry out costly and time consuming repair jobs in the spring. Unless you’re planning on using a greenhouse heater, you should be coming to the end of your greenhouse growing period. Remove any debris like withering summer blooms, leaves or vegetables that are past their best, to prevent harbouring bacteria building up over the winter. Since you’re cleaning out your greenhouse anyway, completely empty it and give it a good scrub to remove any pathogens that might be lingering. When the frost sets in and it becomes more difficult for animals like rabbits to forage for food, the young bark on your saplings will begin to look pretty tasty! Small animals gnawing at the bark can mean the end for your young saplings but luckily there’s a simple (and cost effective) way to protect your plants. Surrounding your plants with galvanised chicken wire will protect them from any hungry critters that pass through your garden. 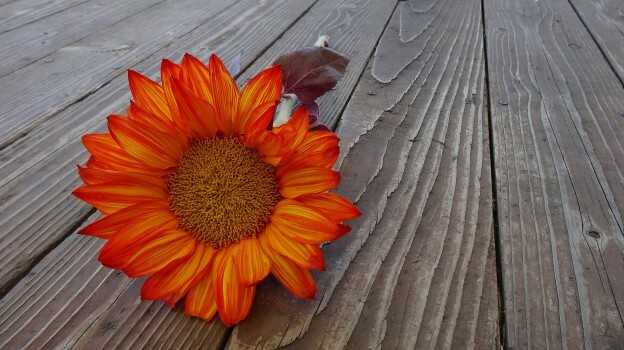 Prepare your garden for autumn with eDecks! We have a fantastic range of gardening supplies at budget friendly prices online at eDecks. This entry was posted in Gardening Advice on October 9, 2015 by peach. If decking isn’t properly maintained it can start to show signs of wear and tear as it ages. Over the years your decking boards may fall victim to rot, mould or cracks if deck takes on heavy footfall day after day. If you notice any of these hazards, don’t let it develop into a major problem by leaving it to worsen over time. As soon as you spot signs of decay on your decking boards it’s time to take action! 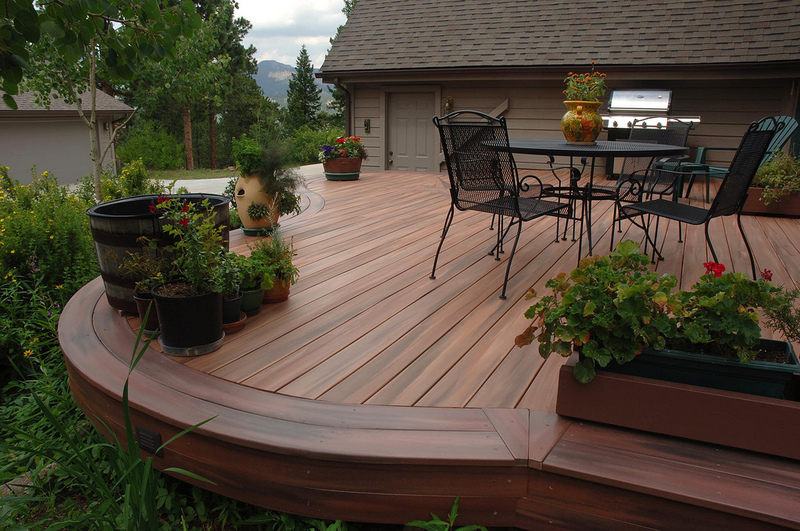 Since replacing a full deck can be costly (unless you shop at eDecks of course), you might be able to save money by simply replacing the problem decking boards. 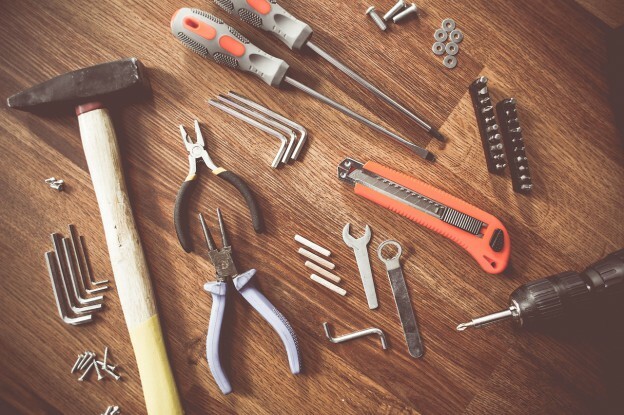 If you have some experience at DIY, why not set aside an afternoon and follow our guide to replacing a damaged decking board. Your goal is to remove as much of the damaged section of plank as possible while making the repair look as inconspicuous as possible. Start by putting on your eye protection (safety first), then mark out the damaged section that you’ll be removing between one or two joists depending on what will make the deck repair job more natural. Using the edge of your framing square as guide for your jigsaw, remove the damaged plank by cutting along the inside edge of the joist. Be careful not to cut the joist itself! Move to the other side of the decking board and repeat the process, cutting alongside the inside edge of the joist until you can completely remove the damaged section of the decking board. Before you can install your new plank, you need to add supports for your new decking board so it’s as sturdy as the rest of your deck. You don’t want to be left with another repair job when someone puts their foot through your brand new decking board! Using a circular saw (very carefully), cut two support blocks from the treated timber. Ideally you want to use 12inch long sections of 2×4 support blocks. Centre the support blocks under the space where the replacement deck joist will go and use the decking nails or screws to attach it to the joist face securely, making sure that the support is fastened tight to the underside of the surrounding decking boards. Top tip: prevent your timber support from splitting when you’re hammering in the nails by using a power drill to pre-cut the holes first. Fill up the kettle because you’re almost done! Now that the supports are in place you can go ahead and install your replacement decking board. Measure the length of the space and cut your new decking timber to size or if you’re really organised, you’ll have already worked out the length of the replacement decking board and ordered it cut to size from eDecks. If you’re cutting the decking board yourself, make sure you make a square cut on either end so it’ll slot in seamlessly. 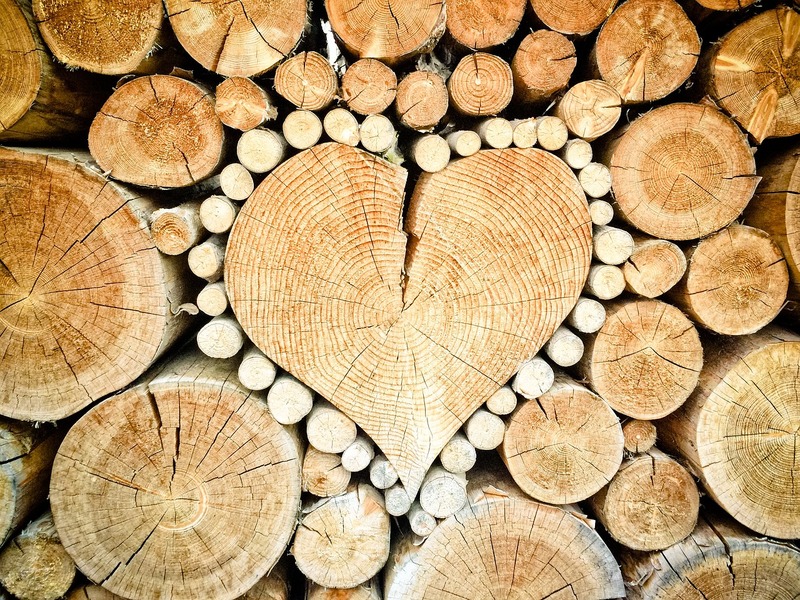 Once you’ve cut your timber, check the direction of the wood’s grain rings. When you’re installing the new plank it’s important to orientate it with the grain rings curving upwards as this will prevent cupping occurring when the decking ages. Drill pilot holes where the deck nails or screws will go to prevent your timber from splitting when you’re nailing it into position later. Then simply slot the replacement decking board in place and secure it with the decking nails or screws. Well, it would be rude not to after all your hard work! Top tip: get yourself a cuppa to help you relax. If need to replace a decking board, head to eDecks’ to find replacement decking boards, decking nails and more at fantastic discount prices with fast delivery. Why shop anywhere else? Browse our range of decking supplies today. This entry was posted in Decking Advice, Garden DIY on October 1, 2015 by peach.